SaltConf18 is a gathering designed to help systems administrators, cloud architects, enterprise IT operators, site reliability engineers, IT directors, and IT managers more effectively manage and secure data center infrastructure using SaltStack event-driven automation. SaltConf18 will include four full days of pure SaltStack goodness, now including two days of pre-conference training on Monday, Sept. 10, and Tuesday, Sept. 11. The main conference runs Sept. 12–13 and includes keynotes, breakout sessions, and valuable training from SaltStack customers and users, core engineers, and partners. SaltConf18 offers twelve new and unique pre-conference training courses led by SaltStack certified trainers and engineers. Build your personalized course agenda from content designed for skill levels from beginner to advanced. Only SaltConf18 main conference attendees can add a one or two-day SaltConf18 Pre-Conference Training package to their registration. A sitting for the SaltStack Certified Engineer exam will be made available on site and is free to SaltConf18 Pre-Conference Training attendees. Check the agenda for exam registration times and go to the SaltConf18 registration desk for further instructions. Tuesday night join SaltStack and the SaltConf18 sponsors as they spice up your evening with food, drink, and networking in the SaltConf18 expo hall. Kick back, relax, and get energized for the launch of SaltConf18! On Wednesday and Thursday during meals and at the conference party, we will organize Salty Bird working groups around topics like network automation, cloud management, event-driven automation, testing and security & compliance. Or attendees can suggest and organize their own working group topics. Use this opportunity to connect with like-minded SaltStack experts, share knowledge and build valuable networks within the Salt community.  SaltConf18 days three and four will consist of more than 60 customer case studies, technical deep dives, and keynotes and will provide unique opportunities to hack and network with the SaltStack community, customers, partners, and employees. Register now to reserve your seat for all four days of SaltConf18. Wednesday night is the SaltConf18 conference party! This is your opportunity to eat, drink, and network. We’ll also provide an opportunity to continue the Salty Bird working group conversations begun during lunch. Contact the SaltConf18 registration team at 720-722-7398 or saltconf@saltstack.com to check on room reservation availability.